Hello everyone and Merry Christmas Eve! This is my last Guest Design post for Scribbles Designs and I have really enjoyed playing around with their lovely digital images! Thank you to the Scribbles Team for the opportunity! I'm sharing a card with you that is so unlike any image I've ever colored before. I saw that Scribbles Designs had this super cool Blue Police Booth. For Dr. Who fans, this would be known as a "Tardis". Now I'll be honest, I know close to nothing about Dr. Who, but I happen to live with two fans, both my husband and son. They like to talk about the show and I feel completely in the dark! So, in the spirit of research, I watched 2 episodes of Dr. Who the other night. I'm going to be honest..the second episode scared me and I had to turn it off, or I wouldn't sleep that night! I did think it was interesting and found myself getting into it a bit. So here's my Whovian Creation, I hope you like it! I've colored up a few, including a birthday card that I plan to give one of the boys this coming year! Thanks for visiting my blog, Happy Holidays! Hi everyone! Just popping in here kind of quick today to show you a few great products in the Kat Scrappiness store. Can you believe we are 4 days away from Christmas? I have no earthly idea how that happened. Once again, it snuck up on me! But I'm not quite done with my Christmas cards, so I thought I'd put this lovely card together using some Gina Marie Designs dies. Kat Scrappiness carries the products that I used on this card and I'm going to link them right below for your shopping convenience! Thank you for stopping today!! Here we are, just a few weeks to Christmas and I'm posting late summer/fall cards! Truth is, I colored this a while back and just never photographed or posted it. So, with the cold grey skies and dropping temps, I thought this might be a warm, happy project to share. If you're not familiar with #PowerPoppy, I encourage you to drop in at the shop and check out all the beautiful images they offer in both clear stamp and digi. 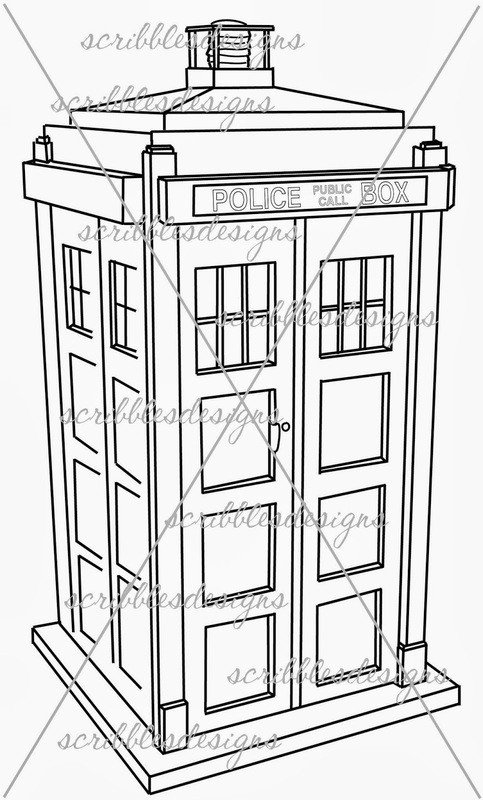 This happens to be a digi stamp called, Sunshine of My Life and here's what it looks like uncolored. Thanks for stopping by today, I hope you'll leave me a comment just to say hi! Hello everyone! I'm just popping in to share some exciting news with you all. 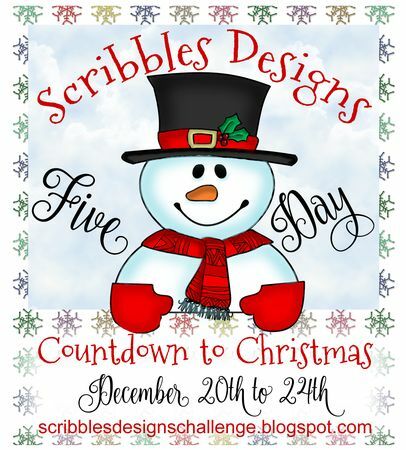 Starting December 20th, Scribbles Designs will begin a Five Day Countdown to Christmas. Each day for five days there will be a different event planned. Readers will have a chance to join in to win some digi images, get a great discount and grab a limited time freebie. 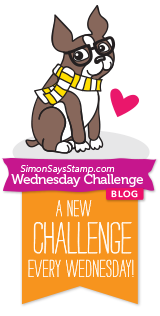 You can click HERE to find the Scribbles Designs Challenge Blog. We hope that you will join in on the fun. Remember it all starts December 20th, so mark your calendars! So just a short time back I became a Unity KOTM club member. And I have colored up a BUNCH of these images and have spent no time at all turning them into cards. So now that's what I'm about to do..starting with this one :) I'm about to pop this one in the mail, so I thought I'd take a quick pic of it and get it blogged. 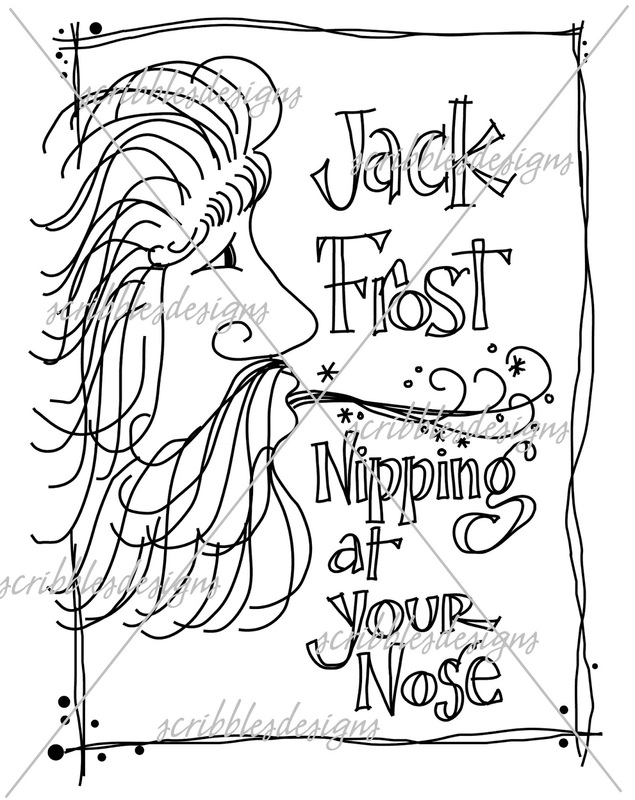 I'm sure I'll only be blogging a few of them, because this time of year it's all about cranking these cards out, lol! FYI, if you've ever been considering becoming a Unity Kit member, well now is the time to do it. In 2017 the prices will be going up, but as a current member, you'd be grandfathered in, at least through next year. AND, you can purchase past kits at a discount..like this one! This is the kit I used from October 2016, as you can see there are a lot of awesome images here! So back to cardmaking and various other chores around the house this Monday afternoon, I hope you are having a GREAT day! Bo Bunny Holly Jolly - Green Santa! So if you've followed me a while, you may know what a huge fan of Santa I am. I'm always on the search for the cutest Santa images, big ones, small ones, fat ones, thin ones! This image came from a newer release by #BoBunny, called "Holly Jolly"
I've committed to coloring this guy 4 ways before Christmas. This is card #2, my Red Santa posted a week ago or so. I LOVE him in Green, what do you guys think??? I picked this set up from a friend of mine, Deana Benson over at her Etsy shop, you may want to grab Bo Bunny Holly Jolly for your holiday cards, it's so darned cute! Hi everyone, I hope you're having a wonderful relaxing Sunday! 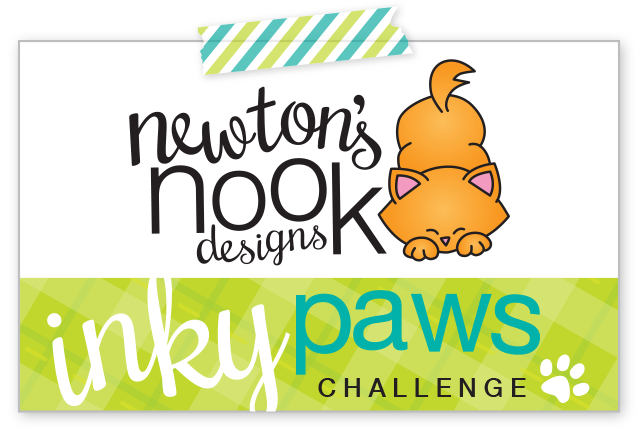 I'm here today with Kat Scrappiness showing off an adorable #NewtonsNookDesigns stamp set #OrnamentalNewton that Kat has in the shop! I used my Stampoholic Stamping Tool to get a perfect impression while stamping! I copic colored the Newton Kitty, and cut him out. Behind him on the white square layer, I floated in some distress ink in Peacock Feathers. I cut all the square layers and sentiment circle out, using some of Kat's awesome stitched dies. They cut so beautifully and are really a bargain! I'll link all the products I've used below. Thanks for stopping by, enjoy the rest of your day! Hi all, just enjoying a lazy Saturday. I got some housecleaning done and now I think I'll poke around on the internet for a bit before a little crafty time. Wanted to show you a new card I made using some of Gina Marie Designs new dies. Gina has a growing line of quilt dies and this is her brand new one, Circle Quilted Die #4. I'm going to be posting another card that I used this same quilt on soon, but I couldn't wait to show off these gorgeous vibrant Poinsettia Set 1 Dies! I love the details on these and thought they looked stunning against the plain creme colored quilt pattern. Lastly I add Gina's Cursive Merry Christmas Die in sparkly gold layered on top of red in 4 layers to make it really stand up off the card. I finished with some pearls and May Arts string. Thanks for stopping by today, I hope you are enjoying your weekend! Hi everyone, the weekend is here, yay!! My husband and I had date night last night, we went out for dinner and a show. After a long week of work, it was nice to enjoy time together! So I'm over at Scribbles Designs this week, I'm still guest DT'ing for the month of December. 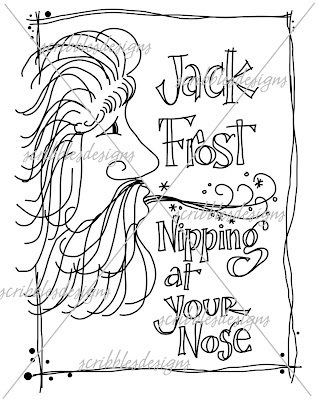 I chose to work with with this great image from their large selection of digital images, #876 Jack Frost. 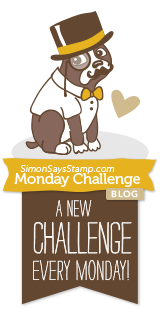 I've also linked below, Scribbles Designs Challenge. You could win a prize, so head on over! Click Here to participate in Scribbles Designs Challenge #47 Happy Holidays! I loved working with some of these dies so much, I just had to create a second card to share with you. I'm loving these brush script dies from sponsor Kat Scrappiness, They cut beautifully and I love that all words cut together to form the "JingleAllTheWay". I die cut the background woodgrain paper using Kat's Stitched Rope Rectangle dies too. Here's a list of products I used to create this card :) Thanks for stopping by and for your sweet comments! Click Here to Shop at the Kat Scrappiness Online Store! And check out the sale going on! Thank you so much for stopping, I love reading your sweet comments! Have fun hopping! Hi everyone, wow can you believe that the Winter Coffee Loving Hop is here? Thank you to Amy Tsruta for the amazing job she does on organizing this huge hop, I look forward to them every season! I'm so excited today, to share this Jolly Latte Wreath that I created just for this hop. Kat Scrappiness is a sponsor and I've used plenty of awesome products from their online store! I started with a 5x5 square card base and then die cut all the components using Kat Scrappiness, CottageCutz and Gina Marie Designs dies. I'm linking all the products right here for your shopping convenience below! Click Here to Shop at Kat Scrappiness Online Store and check out the sale! Merry Christmas to all my fellow Coffee Loving Papercrafters! Candy!!! Winner Announced! "Cute cup tree design. Thanks for a chance to win. I am following by bloglovin." Verna, please shoot me an email so I can get your address to mail your prize! Thank you everyone, for your comments and blog participation. 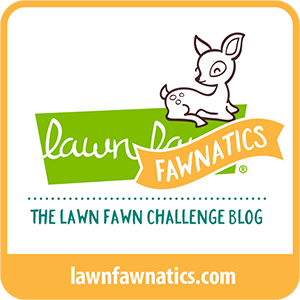 Click here to take the hop, check out all the sponsors pages to win great prizes! Welcome to my blog! 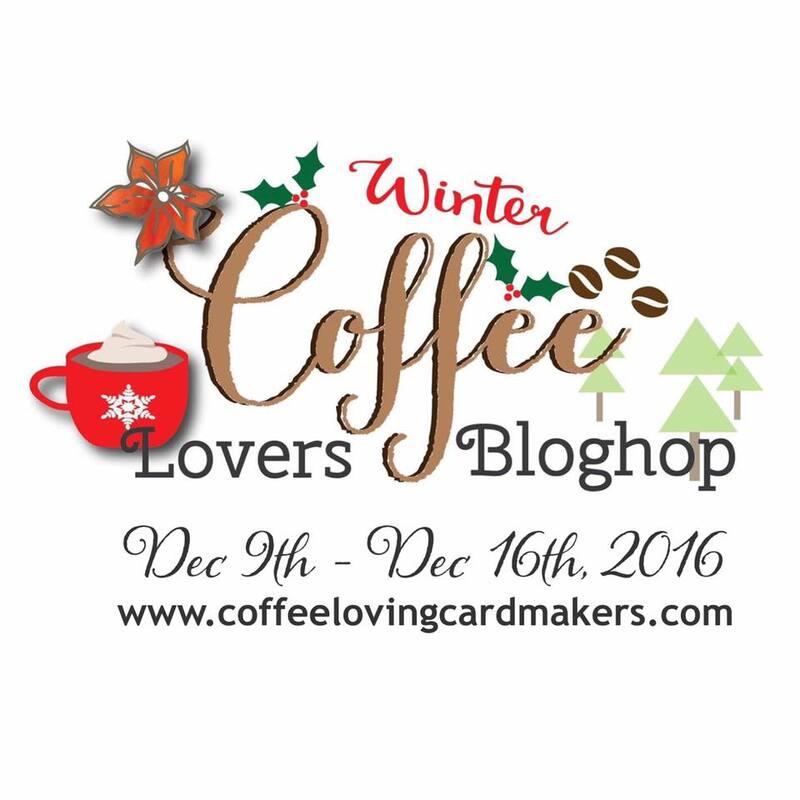 I am really excited to share this card with my fellow Coffee Loving Papercrafters. I would absolutely love for my tree to look like this IRL, with all these yummy Lattes, cocoa mugs and Starbucks coffees! I remembered I had these really fun digital images that a sponsor, Sunny Studios released last year during the hop so I decided to put my brand new SNC2 to the test! Wow, each tiny cup and mug cut out perfectly and then I got to have all the fun coloring! These digital images are no longer offered, however Sunny Studios has released this same set in a clear stamp "Mug Hugs", which I'll link below. If you're wondering where that AMAZING tree die came from, it's from Kat Scrappiness online store and they also happen to be sponsoring this hop. Make sure you pop over and check out the sale Kat's got going on! This tree is one that I use over and over, I think you will love it too ;) And yes those tiny candy canes and star are part of the die set! The zig zag frame die and moon are from Gina Marie Designs, which you can also pick up in Kat's shop. I'll link everything below. Thanks for stopping in, thank you for your sweet comments and enjoy the rest of the hop! A couple more views to show all the detail! Finally, the good part! I've got candy! Just follow my blog and leave a comment to be entered to win this awesome prize pack (CartaBella Stamps Special Delivery, JingleAllTheWay Die by Kat Scrappiness, Sequins and Coffee Nut M&M's), compliments of Kat Scrappiness and myself! Click to Shop Kat Scrappiness Sale! Hello everyone, this is a card I made a while ago, but never had time to blog it. And now that we're closing in on Christmas, I thought this would be a good time. 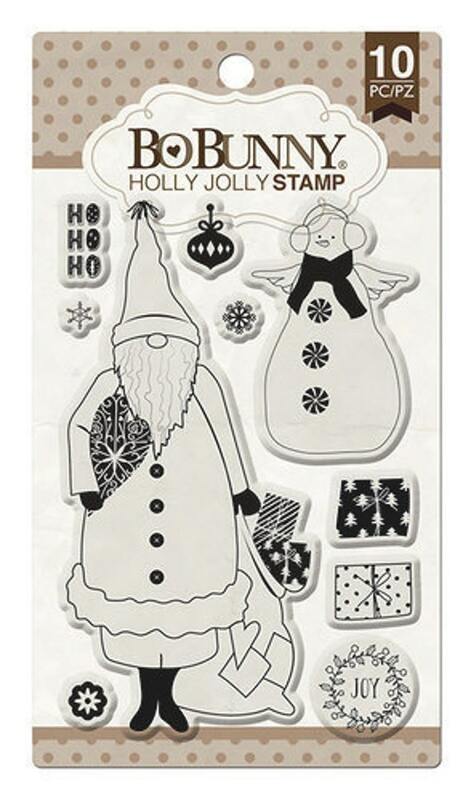 This super adorable stamp set by Wild Rose Studio "Santa and Rudolph" is one of my favorites. 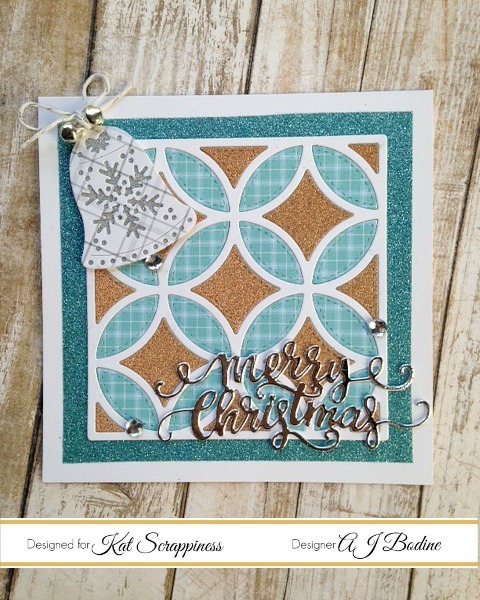 The Happy Holidays and 2 different stitched square dies are by Gina Marie Designs! I'll link all 3 below if you'd like to head over to her shop. Thank you for stopping by, I hope you're all getting your Christmas cards done..I'm about half way! Hello everyone, I can't believe it's Thursday already! My folks were here visiting for the Thanksgiving holiday and they just left yesterday to head back to Chicago. I'm feeling just a little bit sad they had to go, so it was nice to immerse myself into a crafty project using this brand new set by Honey Bee Stamps called "Little Pickup". Hehe, that's what I needed, was a little pickup! So using some fun products from Kat Scrappiness, I was able to create this lovely christmas card! I copic colored the truck, and my sentiment was heat embossed in Hero Arts White. Here's a link to all the great products I used from the Kat Scrappiness online store!